Welcome to the Marin School of the Arts Showcase! An event that is more than just a chance to experience the magic of pure talent. It's an opportunity to ensure that today's youth have a place to continue to aspire, create, achieve. MSA students possess the creative spirit, drive and talents; MSA's gifted teachers provide the training for students to shape their passions. All they need are the resources for them to do what they do best—that's where supporters like you can help. On these pages learn more about why arts education programs are so important for our youth and find out how the MSA Foundation works to support those programs. 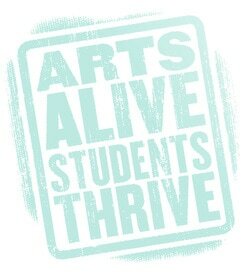 Why support the Arts in public high school? Research shows that students who receive training in their chosen creative endeavors improve dramatically in academic and social achievements. In fact, MSA students on carry a 3.5 GPA, or B+ average in their academic classes. MSA student graduates are collectively awarded millions of dollars in university scholarships each year and many go on to top universities to study everything from business and sciences to performing and visual arts.